Are you worried your puppy will be lonely? [wp_ad_camp_5]Has your breeder told you they have one more puppy left who they would love you to take too? 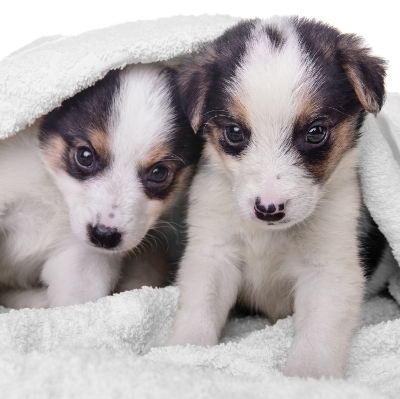 Are you considering bringing two puppies into your life instead of one? This is not a decision to be taken lightly, and you will need to think hard before making the commitment to a pair. Because twice the fun, can quickly turn into double-trouble. A lot of people don’t plan on bringing home two puppies, but instead do so on the spur of the moment. [wp_ad_camp_2]Either due to pressure from the breeder, or because they simply can’t bear to leave either one behind. When you first get home with your two bundles of fur, this situation can make the early transition easier for them both. They will often curl up together at night, and bounce around together during the day. The worried cries that new puppy owners normally endure for the first few nights will probably never materialise in a household with a pair of puppies. What Do Most Breeders Do? 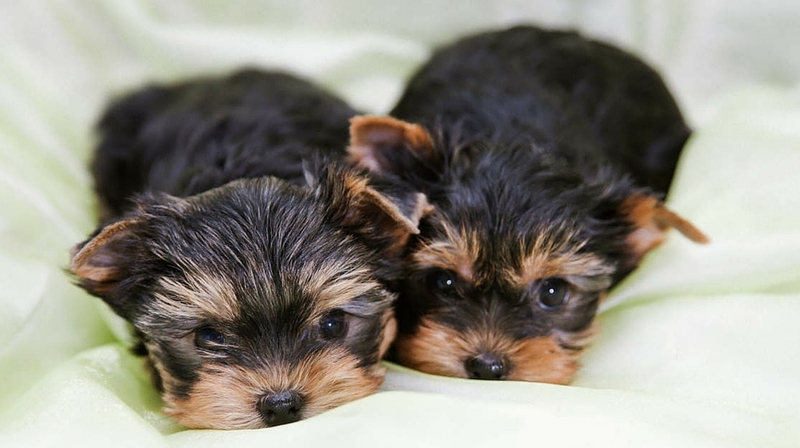 You might have heard that most breeders do not recommend buying two puppies from the same litter. They will in fact go as far as to say that any breeder who does recommend it, should be regarded at best with suspicion. Unfortunately, a breeder who suggests you take two puppies is probably only doing so because they need the money, are worried about having to care for the other pup themselves, or because they are unaware of the problems it can cause the new owner. Two puppies taken home together as littermates share a great bond. This is the very bond that gave you a couple of great nights sleep, when other new owners were coping with a brand new puppy’s sad appeals. The downside of your puppy bonding strongly with his brother, is the impact this can have on your relationship with your puppy, and with his training. Now you may be thinking, “Who cares? I don’t want to win agility contests or field trials with my dog, so training isn’t important”. Every single dog owner is a dog trainer, whether she wants to be or not. From the moment they arrive at our door, we are either inadvertently or deliberately teaching our puppy all sorts of things about us, our environment, and the rules of our human world. I also bet that even if you don’t want an obedience champion, you do want a dog who will walk nicely on the lead, come when you call him and have good manners in the home. You also want to have a great relationship with him. To achieve this, you need to be at the center of his universe. When you have two puppies this can be well nigh impossible, without constantly separating them. If you are considering getting two puppies and you don’t work or have small children, then you may well make a great success of this endeavour. What you will need is lots of time on your hands, and the ability to separate your puppies for training purposes. The early stages of dog training must be carried out alone. Just you and the puppy one-to-one. Having a littermate watching, even from the other side of a gate, is very distracting for a young dog, especially if his brother is getting excited or making a noise. Proofing against distractions is something that takes place later on, and again, you’ll initially need to separate your dogs to succeed. When you plan your training trips, whether they are in the house, garden or in a secure training field, you will need more than double the amount of time taken by someone with one puppy. It will also help you to take notes on where your training progresses to each time you carry it out, as it can be hard to remember with just one dog what you have been doing and you don’t want to get in a muddle and set your expectations too high if one is taking a little longer to catch on than the other. If your family life is hectic, or you are short on free time, then it might be worth considering waiting to get a second puppy until the first is a year old. Puppies are very hard work when they are young, and having two at once will be more than twice as tricky logistically. If you have a nice age gap between them, you will find that you form a great bond with them both rather than battling for their attention. If you have plenty of time to devote to your puppies and are still feeling confident having read the above, then there is just one more thing you should consider before you go ahead. Some dog trainers are concerned that even if you train two puppies separately, they can become so emotionally dependent upon each other through living together that they become very distressed at being apart even for short periods of time. They can also show fearful reactions to unfamiliar people, dogs or situations. This is believed to be due to their fixation on each other, preventing them from becoming properly socialised to anyone or anything else. We call this phenomenon littermate syndrome, and it is widely believed to be very common. Littermate syndrome is by no means a given if you adopt two puppies at once, but it is something worth considering and arming yourself against. It is considered to be helpful to separate littermates not just during training sessions, but for portions of the day as well. This way they get used to being apart, spending time alone, and coming into contact with outside stimulus without their partners support or distraction. If you are relatively inexperienced as a dog owner, it makes good sense to avoid the risks of littermate syndrome, and the extra time and commitment needed to train litter mates successfully. The inconvenience and potential fallout probably outweigh any advantages in the two puppies growing up together. [wp_ad_camp_1]Bear in mind also, that reputable breeders are most unlikely to allow two puppies to go to the same home, and there is something of a question mark over any breeder that would agree to this. On the other hand, it is worth noting that there are plenty of success stories, from people who have carefully planned out having two puppies. If you feel you have the time and resources to do so, then this is a choice that only you can make. Just make sure that you have carefully considered the potential pitfalls in advance, and made firm plans for how to pre-empt and deal with them when they occur. I have 2 puppies from the same litter. They are 6 months old and I am really struggling trying to get them trained to do anything. They are beautiful pups with lovely natures. Could you recommend any training books or videos that covers double trouble. Hi Denise, I am sorry to hear that you are struggling. As you can see from the article, it’s a common issue when you take on two puppies of the same age. You will need to train them seperately to begin with, just as you would if you had one puppy. It is too distracting to begin training with them both present, as this is a far more advanced skill. This will take more of your time and be logistically challenging, but it will be worth it in the long run! You might like to join The Labrador Forum (it doesn’t matter if you don’t have a Labrador) where there are other owners dealing with two puppies the same age who can give you support. All the best, Lucy.